If you haven't done so already, please Like our Facebook page below. It has lots of unreleased news, secrets, event information, FREE Vault Codes and random giveaways! The mental Sindi has been redrawn. It can also now wear the Pixie, Angel and Vampire Costumes. The Sindi will be part of our new Autumn themed Account Upgrades released later this week. Congratulations to all of the players who have already completed the Undying Festival. We hope you have had a great time! For all of those who haven't started or finished yet, you will have until November 20th to complete it. The Daisy will retire after this event. This means that although it will be avaliable from Temples, Potions, Enchanted Plushies, etc it will never be able from the Undying Festival again. Future events will have a different prize. These new Kidlet Plushies have been added to the Plushie Machines. The 2012 Undying Festival has JUST STARTED. With 40 clues for you to solve, each revealing a new letter and most of them giving out a prize! There are great prizes to be won on most levels and if you complete all 40 levels, you will receive a RANDOM colour Daisy and 750,000MP!!! This is the FINAL time the Daisy will ever be avaliable from the Undying Festival. The Daisy species will retire after this event and in future, a new pet will be used. IMPORTANT - Please remember that you are only allowed ONE account on marapets! You are NOT allowed to post the answers anywhere PUBLIC on marapets, such as forums and blogs (only hints). You can discuss the answers by Maramail or private MaraTalk conversations. She has the same as this Festival's name. That is her only claim to fame. When you have completed all 40 levels of the Undying Festival, you will have collected 40 different letters. You will need to use them to solve the following sentence. If you do solve it, you will be able to change one of your pets into a random colour Daisy and receive 750,000MP!!!! _ _ _????? ?_ _ _????? ?_ _ _ _ _ _ _ _????? ?_ _????? ?_ _ _ _????? ?_ _ _????? ?_ _ _????? ?_ _ _ _ _????? ?_ _ _ _????? ?_ _ _ _ _! Can you find the Undying Festival 2012 Hidden Avatar? We have updated most of the costumes for the new Doyle. The Doyle can also wear these new colours - Gold, Silver, Bronze, Rainbow and Sketch! A new Weekly Quest Challenge has just started. This week's quest game is Candy Tree. The challenge is to complete as many of these Quests this week. The top 3 players at the end of the challenge will receive a Nefarious Costume, 200,000MP and a Gold Trophy, the next 6 players will receive 150,000MP and a Silver Trophy and the next 10 players will receive 100,000MP and a Bronze Trophy. The Doyle pet has had a revamp. We hope you like the changes! The missing, basic Doyle colours have also now been added. Only ONE DAY to go until the Undying Festival! Yes, the Undying Festival starts tomorrow!! The Daisy is now avaliable in Fairy, Millionaire, Water and Minipet. Can you find these new Wild Minipet Hidden Avatars? The American Election results are in... here's 4 new American Pets for 4 more years! The limited edition Sindi pet has had a revamp. We hope you like the changes! The Sindi will also be part of the November Account Upgrades. We have also updated the Pet Colours page, so you can see what pet species are officially RETIRED. Only TWO DAYS to go until the Undying Festival!!! The Daisy is now avaliable in Digital, Ice Fairy, Midnight and Polar. These new Daisy Plushies have been added to the Plushie Machines. A new Weekly Battle Challenge has just started. This week's opponent is Agent, you will need to have a Agent Trading Card in your Battle Deck. The challenge is to win as many battles against this opponent this week. The top 3 players at the end of the challenge will receive a Operative Trading Card, 200,000MP and a Gold Trophy, the next 6 players will receive 150,000MP and a Silver Trophy and the next 10 players will receive 100,000MP and a Bronze Trophy. These new Wild Minipets have just been released. While you are playing Marapets, you may receive a new Random Event where a random Wild Minipet attacks you. Once this happens, you can visit the Battle Arena to fight it. 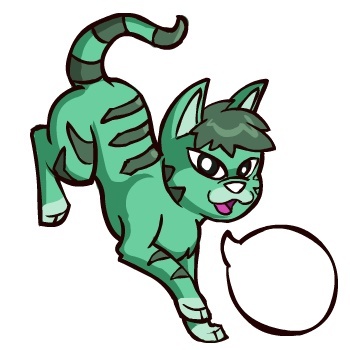 If you win the battle, there is a chance that you will get to catch the Wild Minipet and keep it as an item. 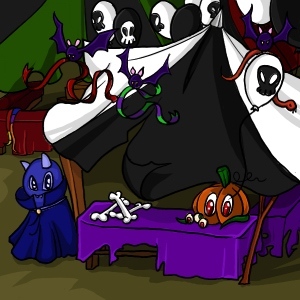 We will be having an Undying Festival this year and it will start on Thursday, 8th November! There will be 40 levels to solve, each with a prize and a letter. Complete all letters and re-arrange all 40 letters to complete the sentence to win 750,000MP and a limited edition Daisy pet. This year will be the BEST EVER! The Daisy is now avaliable in Gold, Silver and Bronze. All of the Halloween Events have now ended. The prizes and Account Upgrade items are retired. You can now visit Elger as normal. Only 3 days to go until the Undying Festival!!! The Daisy is now avaliable in Pixie, Baby and Sketch. All remaining Halloween Events will end tomorrow. This is also your last chance to purchase the limited edition Halloween Account Upgrades items. They will all retire tomorrow. We hope those in the UK celebrating Guy Fawkes Night had a safe weekend. To celebrate, the Oglue and Gonk can now wear the Firework Costume. The Hammy and Candy minipets are now able to wear the Ball of Halloween Yarn! The Lottery has been drawn for this week. ratcliffhouse is the winner of the 118,500MP Jackpot with the winning numbers of 3, 9, 11, 22, 20 and 5! Congratulations! Last Week's Raffle has now ended. soniclugia is the winner of the Red DNA and 100,000MP prize with the winning raffle ticket number 1404! Congratulations! Make sure you buy your tickets for today's raffle - only 10MP per ticket! The MaraTalk quick chat now has its own very special Random Events. If you have purchased access to MaraTalk, you may find one of these new MaraTalk related items that can only be found while you are chatting on there. You may also find them while you are in a private or group chat too, but the chances are lower! We recently sent out a Marapets Newsletter email to all players on our mailing list. Every newsletter email we send will contain a FREE PRIZE code for Vault. We realised that a lot of players never received it and have an old email address on their account. It is important that your Marapets account has a valid email address to protect your account and to help you when you lose your password. Lost Password and Newsletter emails come from mail@marapets.com. To be sure you receive these emails, you may want to add this to your email contact/allow list so there is less chance of it going to a SPAM folder. Over 50 new Photos are now avaliable. The Pumpkin Hunt winners have now been announced. If you are a winner, you will have received an alert and your prizes have been awarded. Congratulations to JgBcGirl, whitedasies, eeveeerb, OrangeFrappucino, krisp64, ricobob, danistheman145, WhoWhoWhoWho, gin513, mythenmetz who were the 10 lucky random winners of a retired Halloween Costume! The Halloween Snowman has now finished. There are 12 new Premium Hairstyles for female characters now avaliable in the Salon. Complete the Premium Hair Treasure Map for FREE lifetime access to the male and female premium hairstyles. The Ice Fairy game has now been fixed. The Pumpkin Hunt will end at midnight. The Free Training for Halloween pets has now finished. These new Splatter Face Paints and Face Stitches are now restocking at the Face Make Up Shop. Can you find the 'Toy' Hidden Avatar? These new Photos have been added. These new Kronk Plushies have been added as prizes to the Clam mission. All Pearls can now be eaten by pets. This means that rarity 10 or higher are now Gourmet Food. The October 2012 Monthly Checklist winners have been announced and the prizes have been rewarded. Congratulations to all of those who have won. Don't forget, this is a monthly permanent feature that you can enter for FREE. If you haven't already, you should enter the November event! Happy Halloween to all of our players! If you are celebrating, we hope you all have a safe and fun time. Remember that all of the Halloween Events will end within the next couple of days and their prizes will retire. The limited edition Account Upgrades will all retire November 5th! The Willa is now avaliable in recycled, rainbow and angel costume colours. Can you find the '666' Hidden Avatar? These new Queen Eleka Loyalty Prizes have been added. Today's random theme is DIGITAL!!! The Murfin and Gonk can now wear the Digital Costume. The Ball of Digital Yarn can finally be used!!! These Minipets are the first to become Digital. 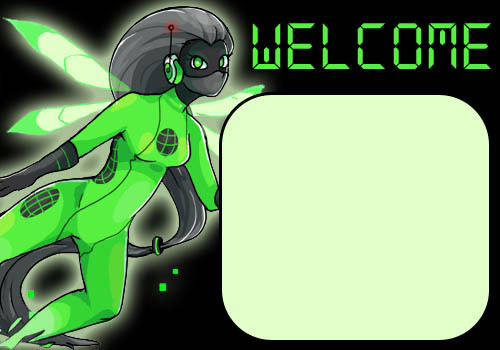 The Digital Fairy has added these new costumes for those avid Hidden Avatar collectors! There are now prizes for up to 825 Avatars.